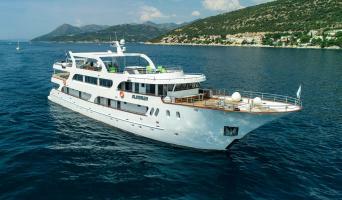 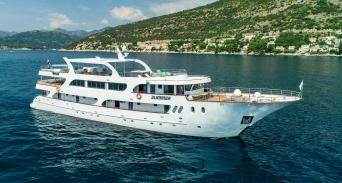 MS Summer is 42.40m long and 8.00m wide luxury yacht-like ship that will satisfy your refined expectations for a comfortable cruise along the Croatian Coast. 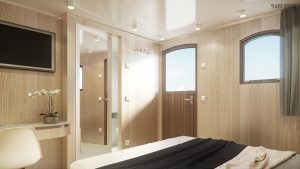 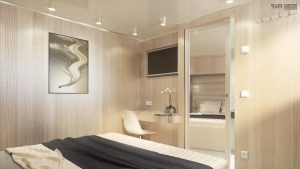 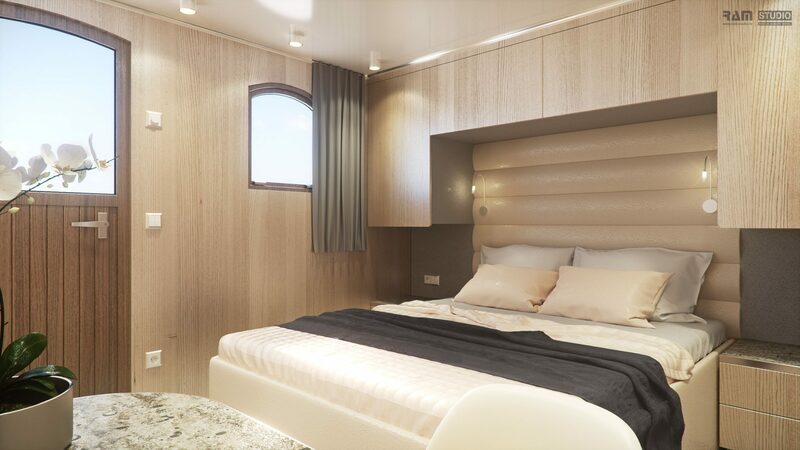 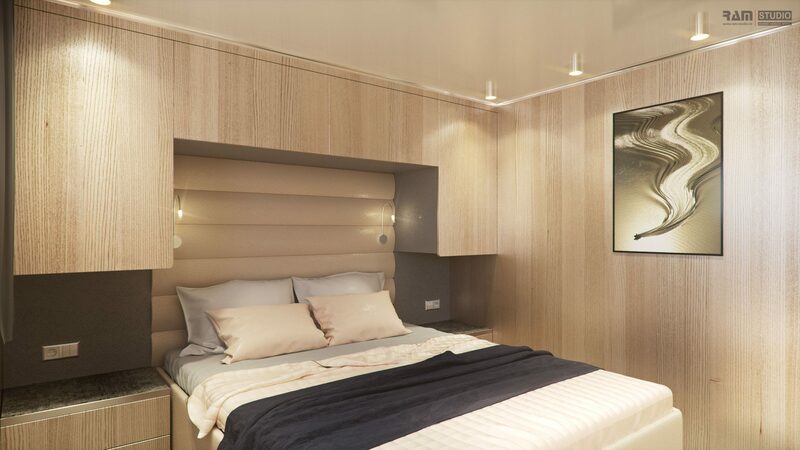 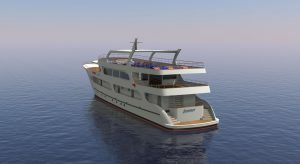 Built for the season 2019 with latest state-of-the-art equipment and amenities, guaranteeing intimate cruise for all guests. 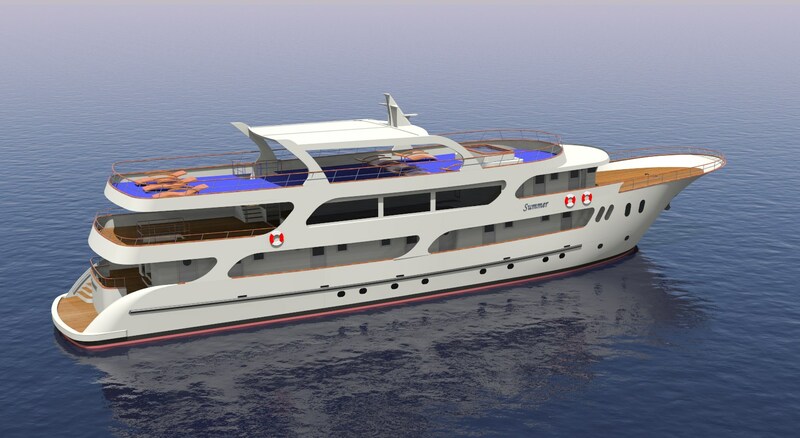 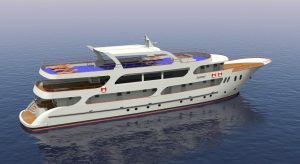 Ship has platform for swimming, 2 ladders with handholds for an easy access to the water and two outdoor showers and public toilets. 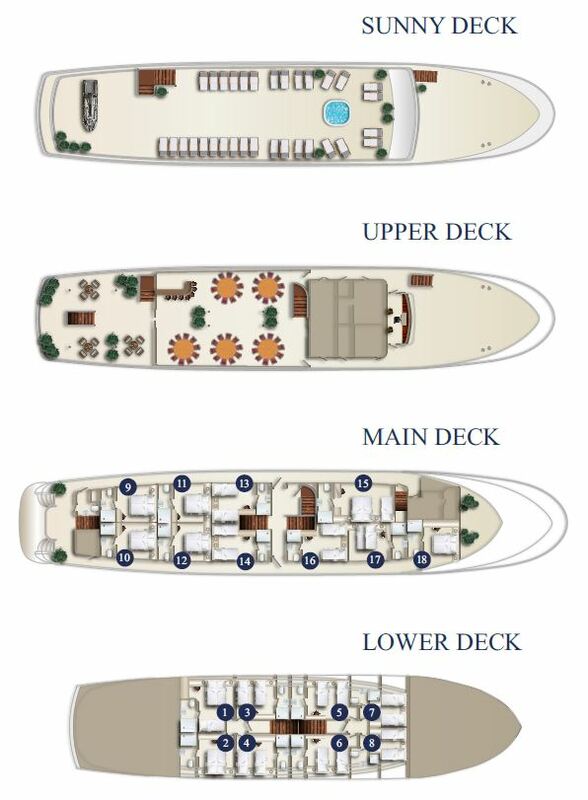 On the high deck is a sun deck that covers 340m2 with sun-beds for passengers, while part of a sun deck is shaded for clients comfort. Here you can enjoy our Elegance Rooftop Jacuzzi designed to ensure an unforgettable cruise.